The ease of training all employees on areas of the system from creating medical documentation and making changes. The ease of using the electronic prescription area to send electronically to printing out. The ease of scanning hard copy medical documents into category sections. I have not encountered any issues with the software. Software representative is always available to answer questions or areas of concern. Training and the ease of your representative finding you the solutions needed. "Okay EMR, room for improvement"
I like that this is web based system, I like that like most EMR systems it is robust and has so many capabilities and things it can do. I like that it will integrate info from insulin pumps, fit bit, digital scales. I like the flow tracking of the patients. It is pretty easy to understand from a user standpoint. I just recently started with this system so I have much to learn. I have used many different EMR/EHR software. Again, there is some things I do like about this system, however this would not be my first choice in software for a practice to use. I am a nurse and I don't think there is a good flow to this system. There are many places that need to be improved. I like that it works and it is accessible just about anywhere. That is just about it. Currently using eClinicalWorks 11e. I think that the people who develop and design this system or any system need to be on the front lines with the doctors and nurses, the front desk staff, the coding staff, and anywhere else that the system would be used and really see the workflows. This system has TOO MANY CLICKS. I tried to find a patients guardian information and it was not accessible easily. There needs to be a better way to record EASILY past medical history, procedural history such as Mammograms, DEXA, DM eye exam, etc.. I really DISLIKE the telephone encounter. The initial message can be adjusted (SCARY). I just find it clunky and too many clicks again. The social history is frustrating because I am filling in the smoking question in several different places (why not just have it fill in everywhere?) I do not like the way the visit summary report generates. It could be simplified greatly. Again, I have used GEMMS, Sage Intergy, NextGen, NextMD, EPIC, Meditech and a few others. They all have pros and cons. I would have to say that EPIC is by far the most robust and the one that was the easiest to follow the progress through. I think that with some feedback the company could make improvements and make this an amazing system. If you are a specialty like OB/GYN, Eye care, Cardiology really ask the tough questions. Have them give live examples of the system and how it is used. I do not know what this system is solving. I was not apart of the process when it came to picking an EMR/EHR system. "Easy to use for Medical offices "
eClinical Works is very easy to use. From entering a patient to setting up appointments, rescheduling as well as referrals. Watts Healthcare Center uses this software for an array of things. Anyone from doctors to Nurses and management communicates via eClinical Works. eClinical Works doesn't really have many flaws. So many great things about this system. I can just name a few. for example, they have something called "bubbles" this can be a bit confusing. as well as generating a report this can also be confusing. eClinical Works is definitely the next big thing, I think that every medical facility should be using this software in the near future, the paper is definitely a big no-no. I know that eClinical Works host Super User meetings and also have trainers travel to locations to train staff and for any other troubleshooting that might be needed. They also have many numbers where you can call for technical support. It is a little expensive. Nonetheless, an investment for your company or any other Medical Center. Like I said most medical centers are going to be using eClinical Works. I don't see anything better than this software. I love that you can customize your dashboard in so many different ways. eCW customer service is AMAZING to work with too, even their international office! I dislike how there would often be times that the reminders, etc. would occur even after an appointment was cancelled. This glitch is usually fixed pretty quickly. It is a wonderful product! The annual conferences are a great tool to take advantage of and VERY fun! eCW was the main EHR we used. It solved our need for charting, CMS documenting, and payment services. it has many categories and you are able to get a detailed information of the patients social, medical, family, and physical history. you are truly able to document everything and it gives you tons of options. One of my favorite feature is the registry. you are truly able to search and narrow down patients for treatments , test, lab results, medication, and diagnosis. Going from one window to another is not possible. you have to close one to see another and sometimes you want to compare things and you cant. Also the tech support is not the best. most of time they don't get to you right away. i have had issues were ECW is down and they don"t even give you report you cal and call and no one has any answers. yes i would recommend it ..Mostly because the layout for the office visit is perhaps one of he most detailed i have seen. i worked with other EMR but i really like the ECW encounter layout. "eClinicalWorks is a great tool"
What I like best about eClinicalWorks is the fact that you can move from section to section with ease. It is also easy to navigate patient charts and edit information within their demographics section. What I do not like about eClinicalWorks is that there are some operations that seem to take more clicks and navigation than needed. Compared with our last EHR there are steps that can take longer in eClinicalWorks versus our older EHR. I would recommend using this product because the training time is not bad and their support team is good at getting your problems resolved quickly and they also have a follow up call to ensure your ticket was handled correctly. eClinicalWorks allows our practice to complete charts quicker and enables us to better submit complete claims to the insurance companies. "A forward thinking company, with the typical flaws"
eCW basically pioneered the idea of a cloud based EMR. While the initial play wasn't great, they have matured into a strong platform with a lot of additional offerings. For most clinics, the ability to offload a HUGE part of compliance, uptime etc is quite helpful, and for distributed offices it could help reduce network complexity as users would go direct to the cloud instead of through VPN links. Support needs work. I deal with a lot of "off-shore" support so there is a bit of a language/accent barrier at times. The bigger problem is it seems like you have a very inconsistent support experience - some support reps are quite good, but the "general" help desk tends to be lacking in skills. They really need to make a T1/T2 support system, where if you can prove you are knowledgeable about the product you can call direct into T2. I often feel like I'm telling the tech how the system works, which is frustrating. 1. Each October there is a national users conference they have (various locations). To get the best feel for the product (if you can) you should attend this and go to sessions to understand the product. You also have the most access to employees who are experts in the various products and should be able to answer your questions the best. 2. Understand that any type of conversion you do is going to be rough. We tried to convert everything over and that was a mistake. I'd recommend doing the minimal conversion (demographic information) and then carry over any relevant chart information after you're live. You'll end up running two systems for a bit, but it'll decrease your headache. 3. Make any expectations clear and on paper from the start. That'll save stress later on. 4. Go cloud - it eases the management of the EMR in general and greatly simplifies connectivity. We replaced an EMR that was very reactive, slow, and prone to break differently on every machine, and consistently on every update. We weren't going to be able to make meaningful use for 2012. Unfortunately we waited longer that we should have to switch, or we could have probably done attestation in 2011. Regardless we now pay less that we did with our prior EMR, have substantially more features, and I have found that while we don't always get the "new" features as fast as they are discussed, we tend to have a very consistent experience with the product once it's out. The QA process is getting better, so when a product is out it's less likely to come "half baked", and more consistent in working as advertised. The program is easy to use and everything labeled. The colors used are nice and attractive, pleasing to the eye. I like how every medical practice can put in their own templates. I do not like how it crashes. Maybe our office needs an update, but overall the program works slow for our urgent care facility. I wish the system itself was faster and we could have better adapted it to our needs in terms of the order of things. They should figure out how to best format and use eCW for their company. Maybe it is something ouur company needs to work on and eCW needs to support us for that. eClinalWorks allows us to complete all of the medical charting so we can bill insurance companies. Perhaps, no other software will allow us to have so many templates. Perhaps, sometimes can be changed to represent our work flow better so we can adapt to eCW better. "Good program but could use some work"
This software is fairly easy to navigate and learn. I dislike that the scanning feature is very difficult, the program is picky about what type of scanner to use and sometimes does not work. It would be nice if you could upload files directly from the computer versus scanning to get around this problem. Also, the fact that the program is only able to be used in Google Chrome is irritating, and it requires a plug-in so if that doesn't work you have to waste a lot of time trying to get it fixed. This software could definitely use some fine-tuning as far as technical difficulties go but overall is a fairly good product. It is beneficial for scheduling patients and communicating with staff, just needs some technical work. "Not an ideal EHR solution, but easy on the wallet"
Ease of use. ECW is very easy to learn for new employees. It us very user friendly. The color coding and personalization features make it very visually pleasing as well. The screen transitions are generally smooth. The constant technical errors and slowness. I am the office manager and I feel like I am putting break fix tickets in every week. The providers are always frustrated with disconnects on their wireless since we switched to cloud a couple years ago it seems it got worse. IT swore that would help our issues. If you have it he funds to invest in a better EHR solution I recommend it. However, this is an affordable option if the issues are worth dealing with for the savings. Medical records are easier to access and transfer. It is also easier to track medications and refills will prescribing than it was with paper charts. It is better for providers and patients. I do not like that we cannot print the claim history from the account inquiry page, it should have that option. I also do not like how they handle our bad debt claims, makes it hard to read the account balance at a glance. Easier to fill prescriptions, send out medical records, filing claims is simpler. Being able to track claim submission, create actions for follow-up claims, able to send office staff tasks, scanning of documents, status reports automatically populate claims. Messaging is done within the system so you can easily get information to office staff and doctors without leaving the system. Each time you open a window it must be closed to open another. Time consuming going in and out of different areas to get to issues. This is a robust system and it takes time to train and learn. Spend the time prior to implementing to watch webinars. They have a great website to utilize once you are a client. eClinicalWorks has released a mobile version of their software that is not working as well as their traditional installed "exe" version. The benefits are they continue to add more ability to automate some of the tedious billing tasks. "Very intuitive and easy EMR to use for a practice." I loved how easy it was to schedule, submit refill requests and to share patient progress notes with everyone in the office and others with a few clicks of the mouse. The only thing I didn't like about eClinicalworks is that it did not have a integrated file retrieval system. They use an outside system, but It would be nice to be able to put the entire chart in a PDF without having to login to a separate service. Making sure that you have someone trained by eClinicalworks is a great way to help the office. We only had one person that went through training, and it was easy for them to teach the rest of the office on how to use the software. Resolving the issue of having chart and having a lot of paper all around the office that could get lost or misplaced. It is a centralized system that allows you to be able to access it from anywhere in the office, and if you sign up for their cloud service, then you can access it from anywhere by signing into the cloud. Very useful and convenient. "eClinicalWorks Full Review and Detail"
What I like best about the eClinicalWorks application is that it is easy to use. The eClinicalWorks solution has a lot of functionality--some good and some bad. Because it has a lot of functionality, the eClinicalWorks software is able to provide many different and various options to the end-users and organizations that decide to implement the product in their own environment. What I dislike about the eClinicalWorks application is that the user interface screen looks very cluttered. The graphical user interface for the eClinicalWorks solution could use a better and nicer looking user interface. The eClinicalWorks software is too cluttered and the application appears to be very busy, which can cause a lot of distractions and may not be easy to use if you are not a familiar user. Although I am not sure on other organizations budgetary constraints, if your organization is able to afford the product and services, then it should be considered. I am not sure on the pricing, but it does seem to be expensive. eClinicalWorks might be able to bring value to your organization. The business problems that we are solving with the eClinicalWorks application is allowing to have a single platform for the needs of our physicians, clinical staff, nurses, and other health care professionals within our organization and hospital system. The eClinicalWorks solution provides a secure access to our patient health information for both our inpatients and outpatients. The benefits that we have realized is the versatility of the eClinicalWorks software. eClinicalWorks is comprehensive and contains a lot of tools that help support various areas, which may or may not be used within your organization. I like all of the features that are offered in this charting system that aren't offered in others, like escribe and fax from chart. I dislike how long it takes to get new services up and running. Some issues have taken months to resolve. We are getting our patients cared for and seen in a timely matter with this charting system. "Good but a little clunky"
It is a very complete medical record system with many users and years' experience, and is therefore very thorough and relatively easy to use. It is not always intuitive, there are some bugs, and it sometimes lacks flexibility. You can't really go wrong with this system. Chances are, if you need a feature it will be there. It is relatively easy to use, and flexible enough that it will not hinder you too much when entering patient data. All medical records for our patient are maintained within the system (we keep no paper charts). Has a lot of features and customization options. Has mobile version. Patient access. There are a few errors that their team was not able to fix. Some features are too complex and impossible to work without assistance from professionals. Document folders are limited. Creating an extra folder can crash the whole system if the memory is full. EClinicalWorks is an electronic medical record program. It helps physicians to keep the data organized, and gives the patients ability to access their chart. "A full-featured outpatient EMR for a good price"
eCW is very flexible. It is possible to add templates and other structured data to the EMR, which enables users to tailor the product to meet their needs. Oftentimes it can take many clicks to get things done. However, this is a common issue with EMRs. In addition, eCW can be rather guarded about sharing information on how their database is structured. eCW is a widely used outpatient EMR that can meet the needs of health centers and other outpatient facilities. It's relatively affordable, flexible, and you are likely to be able to find employees who have experience with the product. I pull data from eCW for reporting and quality improvement purposes. eCW has enabled us to pull and analyze a wide variety of clinical, operational, and financial data. I like the ease of searching for patient charts and finding what you need within that chart. The categories are easily maneuverable. I dislike how many times you have to click within the system. No problems at this time. Each ticket we open is usually resolved in a timely manner. I really enjoy the modern look of the program and how easy it is to use! Being able to use the color coordination to differentiate between types of appointments was a big plus! There wasn't much I disliked about it but I did only use it for a short period of time. Definitely a program I would suggest others to use. It is much easier to schedule patients and saved scanned documents to their files. The slots can be changed to any time frame for the convenience of the practice. I like that everything is in one place. Very user friendly with proper alerts and forwarding techniques. I think there is a better way of showing the schedule for the day. This program was new to our health care clinic and staff were worried about how hard it would be to learn. Once it was insalled and we were all trained, we realized quickly that it was much easier and efficient to use than our old system. Glad we switched. We are working on getting more detailed reoprts, more personalized. Nursing MARS were a major concern and eClinical has made using MARS much easier and efficient. Easy to get items entered quickly and accuratly. 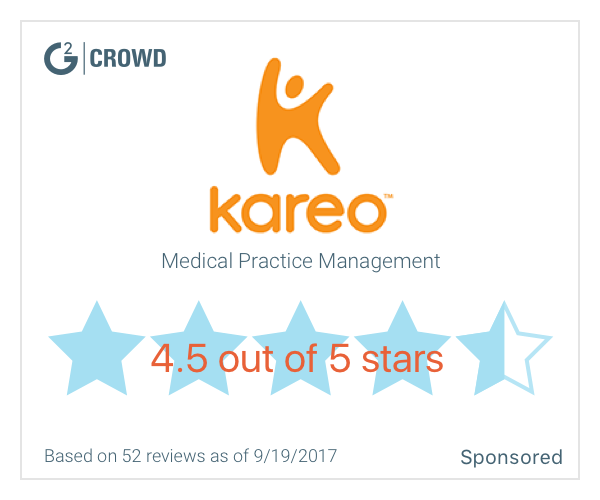 "Excellent software for low budget EMR needs"
This software met the needs of our practice while staying within the limitations of our budget. The user interface did not allow enough customization. eCW is similar in appearance and functionality of other EMR systems. If you have worked in other softwares, you will find this somewhat familiar and easy to use. While it does not offer the full capabilities of a powerhouse such as EPIC or Cerner, it is great for the small community medicine providers who I completed the implementation for during my time as their manager. We use eCW for physician and resource scheduling, record keeping, and billing. It has been a great way to keep all of this information in one electronic location which has improved our previously paper processes for record keeping. "Decent EHR software but hard to support"
Software is easy to use. Large buttons for ease of use. Non technical users can still figure out the program. Ease of use from front desk scheduling to physicians notes. Telephone encounters and fax integration are nice features. Support for this software is absolutely horrible. The software is not something that you can work on yourself. This is from a IT professional standpoint. Calling support and reporting a "high priority" issue results in a 1-3 day call back. Must report as "critical/system down" issue to get emergency service. Support will connect to your computer and fix, which is nice, however their timeline is horrible. It is simple, no clutter, software for EMR services. Templates for EMR purpose are good enough to document basic clinical information. Eclinicalworks is very IT driven. They stay up to date with requirements for EMR systems. It is easy to train a user on and to figure out how to use for routine daily use. The system is very IT based. Not very realistic from a provider standpoint. Not quick to make changes. Technicians are often based in another country because of this sometimes it is difficult to communicate with them. They are sometimes difficult to talk to during a time that works best for you. Eclinicalworks allows my practice to utilize an update EMR system that communicates well with other offices when transferring care. Allows us to meet government requirements. I like that the medications and medical history are easy to view, and that the system allows us to bill and post diagnosis codes in the same window. There are a lot of different windows for viewing the medications so if the patient has a long list of medications, you do have to click through quite a few. ECW integrates dental and medical charts fairly well and allows us great access to information we otherwise would have to request from the medical doctors. "I have been working w/ ecw since 2012"
Very simple to navigate throughout the system. I have yet to come across a major issue. The ability to interface with other EHR systems in order to provide patient care more efficiently. I love that the program has an all in one use for its program. I can fax, make referrals and chart all within the same program. There are freezing issues with the program that I wish could be managed. It helps to tremendously when you can chart, fax and refer without leaving the program. "eClinicalWorks gets the job done, but better platforms out there"
works great and is easy to use. Interface looks modern as compared to other software. Very easy to manage various aspects of patient medical records. Easy to transition between different sections of information. Can also easily message colleagues. Great product. Support staff is absolutely terrible. It seems to be outsourced. expensive product for what you get. I love the product, however the company seems to be mismanaged and comes off as not caring about anyone that they have sold their products to. managing the daily operations of a medical office. Easy interphase and easy to understand. The options are very instructional and the overall performance is great. There’s a lot of words and many options that are not as easy to grasp as the other ones. Billing is not as easy as one might expect. I’m the healthcare system and using ECW has allowed an easier travel through patient charts. Organization of documents, using timestamped actions. No message threads are able to remain in the chart like an email and can only send a telephone encounter to one person at a time. Also did not like that you couldn't view a document and at the same time move through a chart. A document open from a chart essentially disables you from doing anything in the chart. I also did not like how many ECWs I needed to have open if I planned on working on more than one patient chart at a time, as there is no tab between patients it was necessary to open a ton of the software. eClinicalWorks has a lot of features and options and they are always adding new things. Ensure that you have your server setup properly per the eCW recommendations unless you use the cloud-based option. eCW has really helped us ensure continuity of care among various providers and specialties. They also helped us to achieve PCMH certification. The many features it offers/includes. The chart format is easy to customize and build. Nice looking interface and it's pretty easy to navigate through. Payment posting seems like it could be stream lined a bit better, but not difficult. Very easy to learn and navigate through the system. Has a lot of features that are valuable to a practice and it's staff to use like messages and internal fax. I love how standardized it is. Not many changes, love the already made templates, and the support behind it. Helps me register and help maintain patients information. Customer service. Anytime I have a question they refer me to the "knowledge section" of ECW. Sometimes that is helpful but sometimes my questions are more specific. Right now meaningful use. That there is not one person that can help me. "Good EMR but too many buttons and implementation challenges"
I think the product is very user friendly. Our electronic medical record is much more sophisticated than others in our area. Patients really appreciate receiving a detailed summary at the end of their visit and like that all of their information can be accessed by any staff member by looking in their chart. I would say that e clinical works has a very intuitive platform. I was able to learn on the job within two days and feel comfortable with bare bones. It’s easy to track who does what for continuity of care and for future training, correcting mistakes, etc. It drives me crazy that when I am editing a document if another person elsewhere opens the document and types it erases whatever I’ve done. Also that I can’t open hub if it’s already open. Small things that severely inconvenience and take time out of my busy day. Very simple user interface. Easy to learn. Easy to teach others. Easy to navigate between sections, which can be crucial depending on the patient/care scenario. At times, it can operate at a snail’s pace due to various users, updates, or strength of web connection. An ounce of prevention is better than a pound of cure. We help the economy by making sick people more well so they can prosper on their own with less help from others. I realized/reminded myself that an ounce of prevention is better than a pound of cure. What I like best about ECW is the ability to keep an electronic health record for the patients, which is easy to access. Sometimes the software can be a bit slow. Also, this software relies solely on internet so if the internet is down, it does not work. 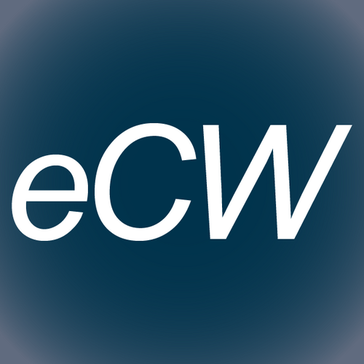 ECW helps doctors keep an electronic record for easy access on all their patients. It allows to send prescriptions, referrals, and imaging studies. This is the go-to software at the Well Med clinics where I worked as a scribe. eclinicalworks is a great EMR system for any medical practice. It is very versitale to make it fit the way you want to use it. it was rather difficult to learn at first but it was our first time using an EMR; would not be an issue now. has enable practice to capture our charges much better and increased our billing time tremendously. "ECW: user friendly and easy to navigate"
ECW is very easy to navigate for EHR documentation. Templates make it very user friendly and easy to document procedures. This makes it very user friendly for all ages. ECW is very slow and often lags with glitches in the system. Very very user friendly and easy to navigate. ECW makes it very easy to document patient charts. Patient charts can be completed within 10 minutes or less if it’s an easy chart. EClinical is great for ease of sending referrals to other providers who use eclinical. It is a great software! Easy to learn in just few weeks. Settings can be easily changed based on your fit. ECW has many capabilities. There are many things I can do straight through the EHR that I was not able to do in previous systems. I like that their service team is responsive when our IT team have difficulties with the system. ECW requires many more clicks to complete a task than previous use EHRs. We can run many more reports with ECW. We can also make certain parts of the chart confidential without locking down the whole chart. "Feature packed one step solution "
Comprehensive solution to electronic medical records management, patient communication, refills etc. * We monitor all eClinicalWorks reviews to prevent fraudulent reviews and keep review quality high. We do not post reviews by company employees or direct competitors. Validated reviews require the user to submit a screenshot of the product containing their user ID, in order to verify a user is an actual user of the product. Hi there! Are you looking to implement a solution like eClinicalWorks?